The Ravine Residences located on the East side of the campus are six buildings with a central service building in the centre of the complex. 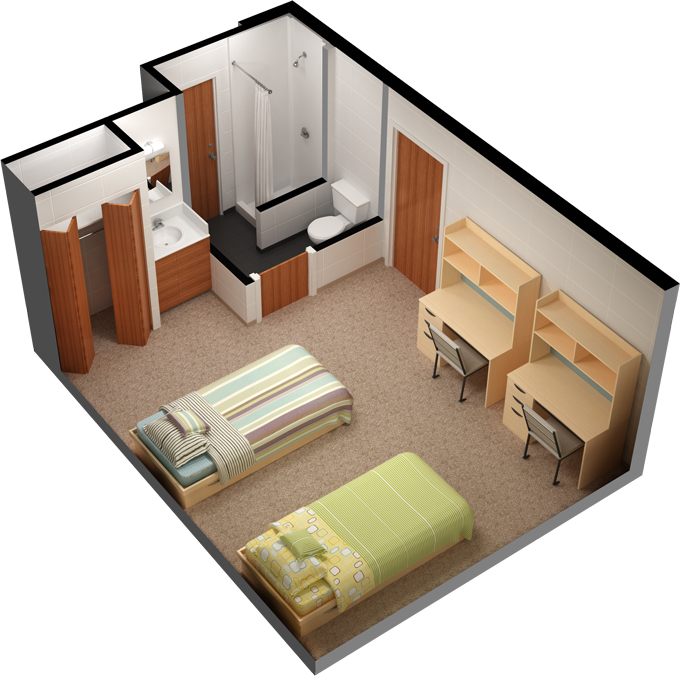 These rooms are typically reserved for students in 2nd, 3rd and 4th years of study or students over 21 years of age. 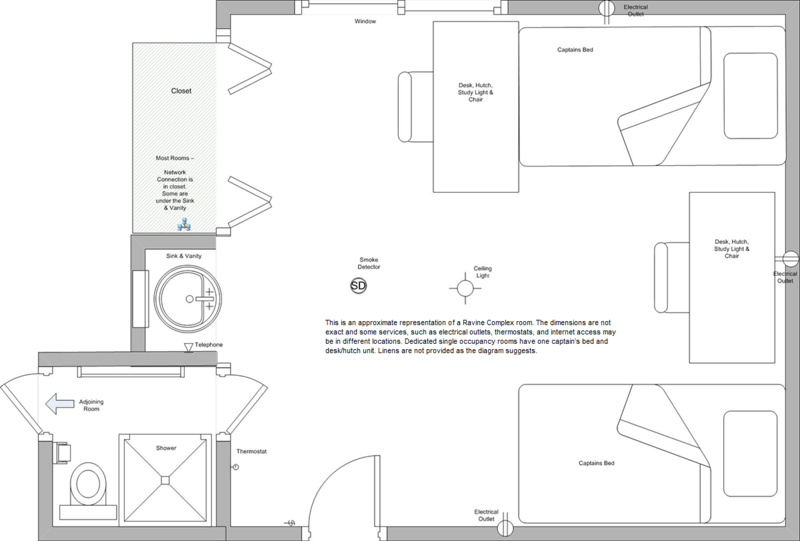 The layout is different with semi-private rooms, each containing a sink/vanity, twin bed (36"x75"), desk/hutch unit and closet. Two rooms share a washroom. The Ravine Complex also has a computer lab in the central service building (commonly referred to as the "Dish"), laundry facilities and small fitness room. 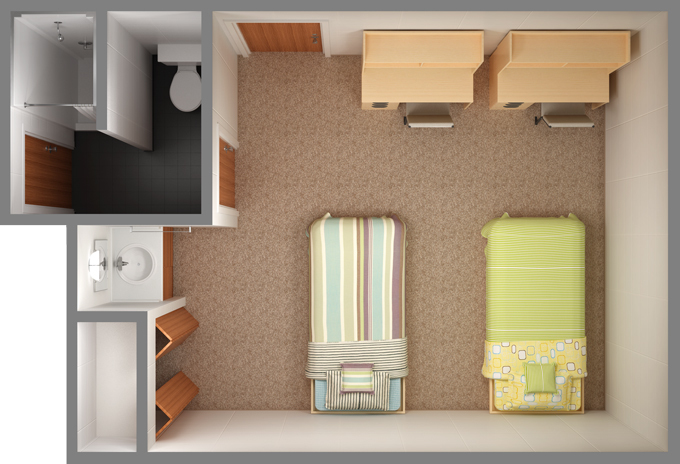 These rooms are approximately 12'/3.7m wide and 13'/4m deep. Note, two rooms share a washroom with a shower and toilet. Wireless Internet access is provided by the University Wireless Service (UWS). More information on how to connect. During the summer months, internet access and telephone service is not supported. Blankets, pillows and linens are shown for illustration purposes and are not supplied.